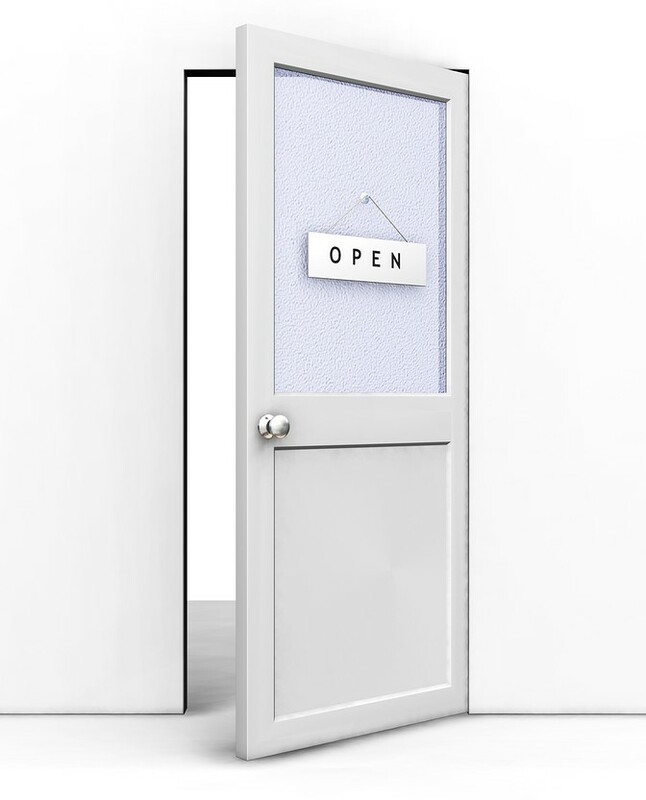 Have you ever had a leader or associate mention that if you ever needed them, their door was always open? And it was. But it turned out later, they were never in there. Or, they were in there, but they were always busy, maybe because they were studying spreadsheets or some other stimulating thing. Or, when you finally got a chance to talk to them they made it clear that they didn’t really share your perspective on whatever the issue was. In an extreme case, maybe they actually punished you for offering an opinion that they didn’t want to hear. In fact, at some point in the “conversation” you actually wished you could close that open door, because with it open, the whole world could overhear the public flogging you were receiving for voicing your honest opinion. For starters, decide that you are not going to behave that way. Decide that you are not going to be the kind of leader whose door may be open, but that’s the only thing that is. People are understandably uncomfortable dealing with opinions different from their own. It is an unusual person who looks forward to hearing what they didn’t want to listen to in the first place. And we all learn that it just isn’t worth the risk of being candid with others, particularly if they’re more powerful than we are. In short, political behavior trumps productivity improvement. 1. It’s about opening your mind, not your door. Force yourself to listen to what people are telling you. As they’re talking, keep telling yourself that there is at least something correct in what they’re saying. Listen for it. Unfortunately, many of us do the opposite: we listen for the weak link in the logic chain of what people are saying. It’s fun, isn’t it, to suggest an improvement to someone else’s viewpoint or plan. It makes us feel good about our contribution, our value added, our incredible wisdom, insight, and—now that you mention it—genius. But are we reducing the personal commitment level of the person we’re talking to? And is a 5 percent improvement of the strategy worth a 20 percent reduction of the activation energy it will take to get the idea off the ground? 2. Your door may be open, but you don’t have to know everything about what’s going on. The only thing worse than not having an open door policy at all is having one, and there are people standing in your threshold all the time. Make it clear that you want people to take responsibility for doing the right thing, not sharing it with you. Decisions should be made at the lowest operational level, by people who are closest to the action. You’re not protected by a policy that was made by someone who isn’t involved in what’s happening right now. If you are executing on something that you think is bad, even though the order came down from the top of the organization, you are abdicating your moral responsibility. Napoleon said such a leader should be seen as a criminal. 3. Tell people you really do want their best. A strategic use of the open door can be quite helpful. But you want spontaneity and candor. You want it with the bark on. Political correctness is of course appropriate, but it should be used sparingly. The focus here is getting the job done, to specification and on time. July 27, 2013 in Accountability, Behavior Change, Best Practices, Communication, Empowerment, Leading, Listening, Performance Management, Relationships. Reblogged this on The Development Guy.